As the year 2020 approaches, probing key features of the governance promised to the people of Rwanda is noteworthy. Hence, this first part of the article covers areas of development in the key features of the promised governance, namely accountability, transparency, and efficiency in deploying scarce resources. The purpose is to stimulate, particularly, Rwandan citizens as well as the incumbent and prospective policymakers in and outside the country to work diligently towards improving governance in Rwanda. Though Rwanda has been ranked 2nd in accountability out of 54 African countries in 2015, Rwanda’s score of vital accountability indicators are either unchanged, low or have considerably deteriorated between 2000 – the year Vision 2020 was launched – and 2015. This can evidently be observed from The 2016 Ibrahim Index of African Governance (IIAG), an annually published index that provides a statistical measure of governance performance in every African country (Pg 12). First, the Corruption in Government and Public Officials indicator shows the level of vested interest/cronyism and corruption in Rwanda’s public sector has remained unchanged; scoring 60 out of 100 for the past 15 years. Second, the Diversion of Public Fund indicator, which gauges the prevalence of the diversion of public funds to companies, individuals or groups due to corruption in Rwanda, has deteriorated. Rwanda had been scoring 100 out of 100 on this indicator up until 2010, but the score has since dropped and despite it remains considerably high, the country has been unable to elevate it back to 100. Third, the Accountability of Public Officials indicator, which assesses the degree to which there are penalties if public officials abuse their positions in Rwanda, has remained low and unchanged, scoring 45.2 out of 100 for the past 15 years. Fourth, the Corruption Investigation indicator, which measures the extent to which allegations of corruption in the public sector and the executive are investigated by an independent body and the extent to which the public are satisfied with how the government is fighting corruption, has been unchanged at a score of 50 out 100 till 2014, then it declined to 37.5 in 2015. From the denotation of highlighted accountability indicators, one understands their significance for promoting good governance in any country. Rwanda is a particular case when talking about accountability, given the culture of impunity and favouritism that characterised the previous administration overthrown by the incumbents in 1994. Therefore, failure of Rwanda’s current government to make significant progress in the aforementioned accountability indicators raises questions on its transparency regarding the country’s budget matters. In fact, Transparency (Open Budget Index) for 2015 indicates that the Government of Rwanda provides the public with minimal budget information. When surveyed in 2008, 2010 and 2012, Rwanda was persistently ranked among the countries that provide the public with little to no budget information. The Transparency (Open Budget Index) assesses whether the central government makes key budget documents available to the public in a timely manner and whether the data contained in these documents are comprehensive and useful. 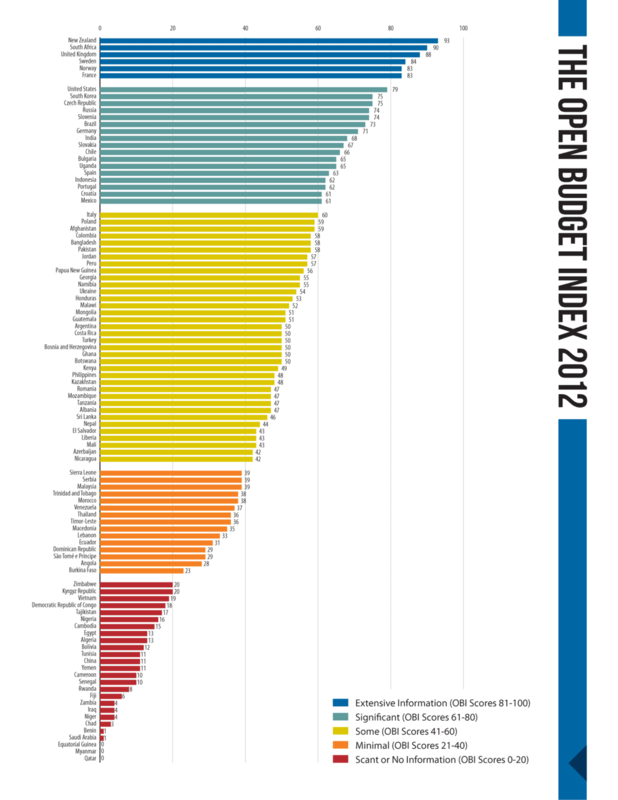 The Open Budget Survey 2015 report which publishes Transparency (Open Budget Index), stated that Rwanda is a striking example of a country that publishes all the required budget documents, but the level of detail and the variety of information contained in the documents are limited (Pg 22). As a result, Rwanda’s transparency score was 36 out of 100, which remains moderately lower than the global average score of 45 and low in comparison to that of Uganda (62), Kenya (48) and Tanzania (46). By the end of 2016, Rwanda had only made public five of the eight key budget documents required, which imply a net decrease over the findings of the Open Budget Survey 2015. A country’s budget is important because it is at the core of development. Its contents help the public to monitor how the government is managing the country’s revenue and expenses to bring about promised social development (such as those included in Vision 2020) and to measure government progress. Therefore, the lack of transparency from Rwanda government on the country’s budget matters is a concern. It raises questions on its effectiveness to deploy the country’s scarce resources. Rwanda has received praises from aid donor communities for its efficiency in managing aid funds. The World Economic Forum ranked Rwanda 7th on the list of the most efficient government countries in 2015, thanks in large part to the low level of waste in government spending. However, evidence shows that incumbent government in Rwanda has been losing, and continues to lose, considerable funds beyond wasteful government spending. This is documented in annually published reports by the country’s Office of the Auditor General. According to past audit reports, the Rwandan government has incurred losses estimated to US$ 215 Million between 2002 and 2016 through irregular public spending. These include unsupported and partially supported, wasteful expenditures and unlawful staff advances. Had other losses of public funds been included such as those from unused assets, delayed and abandoned contracts, fraudulent activities, services or goods paid but not delivered etc., public funds lost by incumbent government in Rwanda would be much higher than the indicated amount. To put it in a comprehensive perspective, the amount lost through irregular public spending is equivalent to a loan of US$ 204 Million the IMF offered to Rwanda in June last year. The loan was issued to enable the country to finance its international obligations following its gross reserve decrease caused by persistent lowered exports revenue. 5) To prevent the ongoing famine named “Nzaramba”, that recently hit Rwanda and that is reported to have forced 100,000 Rwandan families to flee to neighbouring countries as of July 2016. Against that backdrop, the promise to efficiently deploy scarce resources made by the Rwanda government to citizens has not been honoured yet. Area of development in the rest of the key features of the governance promised to the people of Rwanda citizens will be covered in the second and last part of this article. Themes that will be discussed are democratic structures and processes, rule of law, human rights and the decentralisation process. Thx again Jambo news for providing us with information about what Rwandans should be thinking of when assessing the governance we have been promised by our government. We are often told good leadership and governance have brought about progress in Rwanda and we have always been ensure of what progress they refer about. Now I inderstand what we should be measuring PK governance with. We are waiting for the second part with impatience. Has Rwanda addressed the root causes of a genocide?